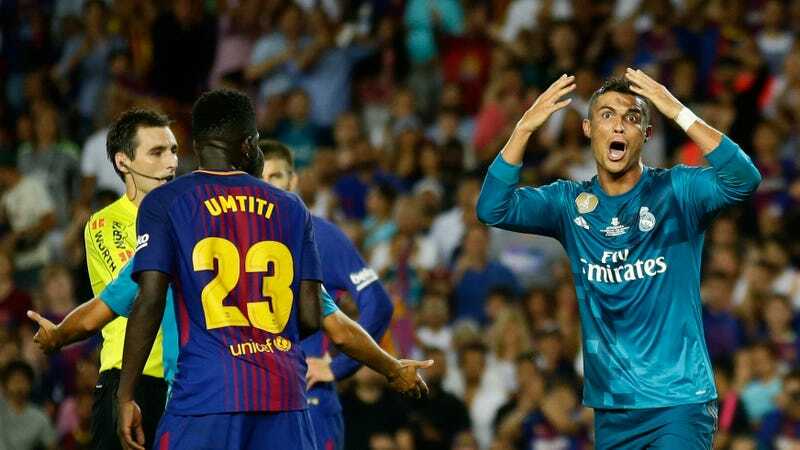 Ronaldo picked up two yellow cards in the fist leg of the Spanish Super Cup against Barcelona. The first was for tearing his shirt off in his classic goal celebration; the second was, controversially, for diving. Then came the push that merited the suspension. Ronaldo will miss tonight’s second-leg match against Barcelona, as well as four La Liga games.